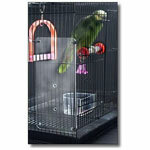 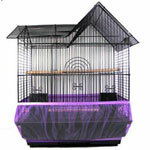 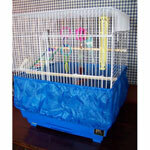 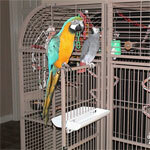 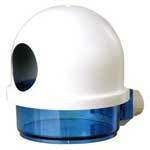 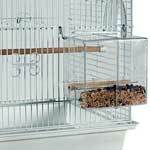 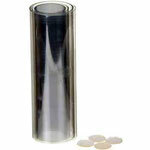 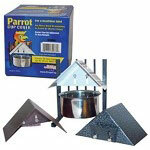 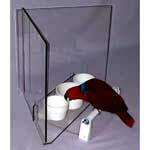 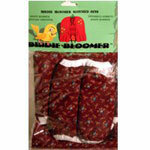 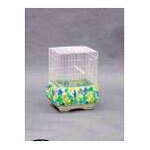 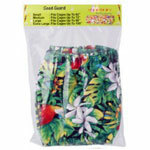 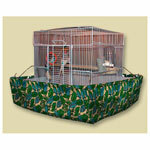 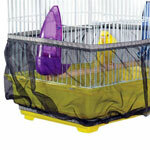 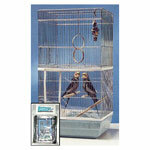 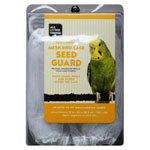 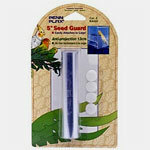 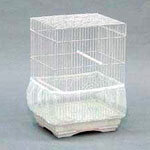 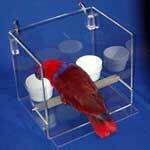 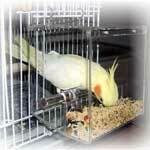 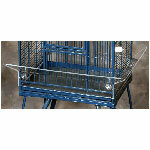 See over 20 different bird cage seed catchers and parrot poop guards below - all designed to minimize cleaning. 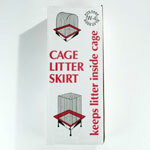 Products range from elastic banded cage skirts which prevent seeds from flying outside the cage to bolt-on metal shields that protect food and water cups from bird droppings. 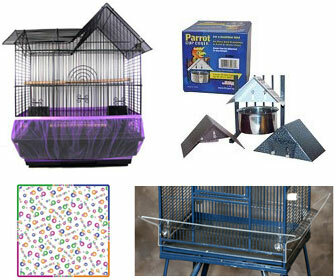 To help you locate a particular seed catcher or cage guard (if it's still available), we’ve included information below most pictures for you to copy and paste into the web search bar provided. 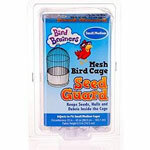 Given that businesses come and go and products get discontinued, some of these catchers and guards may no longer be available. 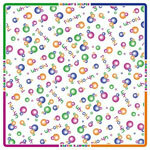 For creative tips on searching, check out our Search Tips. 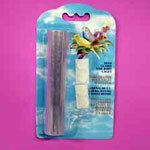 8", 11" & 13" long avail. 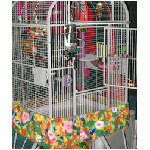 5" x 10" and 8" x 10"